Prize includes an Eileen Hull Wrap Journal Die and a $50.00 gift certificate to the Emerald Creek Shop. Oh how I love Winter and Christmas! LOL as you will see - this went a totally different direction. There was a Santa Soap Mold i just had to lay with. Tip: lots of smaller amounts added to the cup are faster then trying the full amount at once. Pour the powder into the mold. If you are asking why I used Embossing Powder, its because it sets up in minutes not hours. And oh how wonderful that smell of cinnamon is. Next I worked on how I wanted to cover my trinket box. I saw this silly "backsplash" sticker I bought from the dollar store. As a backsplash application, its crap, but as a faux brick chimney backer - AMAZING! Combine this with the Seasonal Impressions cardstock and it was magic. Once I had the pieces cut, I ran them through my Xyron Creative Station with the permanent sticker adhesive and began to adhere them to the box. I realized I had too much white still showing and used the Ebony Colorbox blend to blacken and distress the exposed white, then continued to adhere the papers. Then I lightly brushed the raised areas with the blender and bit too dull the chimney rock too. Once it all set and cooled, I thickened a spot of EP inside the flap, inked up the MC from Canada Stamp, and while the powder was still warm, pressed the sentiment into the powder for de-bossed or seal style impression. Last touches were to add the Believe Buckle to a ribbon and tie it on, touch up the frame with a black chord and some Pine Cone Charms, and add the 4 Hole button to the Side to create a latch. I also felt the Santa detail didn't pop enough so I used the Coconut Colorbox Blend to accent the beard, eyebrows and hat, which worked perfectly. I had hoped the chocolate I ordered would have arrived in time for me to make the holiday goodies I am planning to fill the box with, so it can be a little gift box to give away. Your turn! Follow the hop and comment on every blog, plus gain bonus entries if you are crafting up winter creations with emerald Creek and Eileen Hull Entries. Happy Thanksgiving to all our American Craft Family! I love this piece of Art. This is such a cool idea! I have never thought to use EP in a mold and now that I know, the possibilities are endless! What a special treat the recipient is going to have when they receive this wonderful trinket box! Thanks so much for sharing and all the great ideas, you’ve got my mind spinning! That Santa mold is fabulous! Love this idea, thanks for sharing it and the instructions! So unique!!! what awesome techniques you used on this wonderful trinket box! Love the brick wall and wonderful molded Santa! Oh now that is genius! Love the mold idea and has me going off in all other directions! Thanks for collaborating- this is a fantastic hop! Thank you Eileen. I love this pairing since we have such different stuff that works together. Enjoy the Thanksgiving break and can’t wait for the next collaboration LOL. Maybe we should be a quarterly event. Hugs! What a super, creative way to use the trinket box and a candy mold! And the brick back splash as another creative stroke of genius! Now I wished I had gotten rid of all my candy molds! Incredible inspiration, Kim! Thank you for the blog hop, too! Thank you Sara! Having you as part of my team really stretched my thinking and design. Love ya and hope all is well on the home front. Happy Thanksgiving! Amazing project! I love the techniques that you’ve shown! Fabulous project!! I LOVE how you used the Santa mold! Great idea! Beautiful box! Awesome colors, textures and details! Love that Santa mold! Thank you Denise! LI know I saw a flyer from the soap company featuring it and announcing they were in stock. I knew I had to have it. I’m just glad it worked. Wonderful trinket box! Great gift ideal. Labor of love with all the detail showcased. This is so stunning! I love adding a gift in the box! Thank you and wishing you luck in the challenge. Thank you for joining us! I love what everyone created. Thank you Suzie! We are so glad you joined us. Love the fabulous Santa Trinket Box...best part is that amazing Santa created from EC embossing powder...oh my!!! Amazing!!! What a wonderful gift box for those fabulous chocolates you are waiting on. Thanks Pam! This was so fun as everyone created amazing projects. I’m so glad you joined us. Wonderful project. Great tip on the embossing powder. Thanks for sharing. I love the Santa mold! I’m not gonna lie I love all of this project!! Thank you Wendy! I’m so glad I could share a new idea with you. Oh , KIM!! 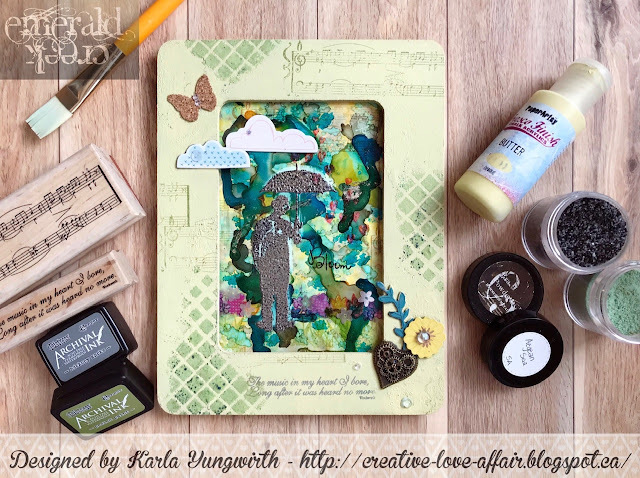 I just knew that whatever you decided to make, for this blog hop, was going to be wonderful...and I was RIGHT!!! Using that Santa mold as the focal piece to your project...wow! Right off, you took me back to the Lindt Schokoladen Museum, that I visited in Cologne, Germany (oh, their collection of antique chocolate molds...not to mention the fact that I’m pretty sure parts of Heaven MUST smell like chocolate being made ��) Your imagination never takes a rest! I loved the part about how you repurposed the Dollar Store backsplash!!! GREAT idea!!! The end results were fabulous!!! What a thoughtful gift! First, they’re going to enjoy all those pretty details (then the treat, inside ��) and, afterward...they will have something special to enjoy for a long time to come! Absolutely delightful! What a cute box ! That Midnight Merlot EP has jumped on my wishlist, it's so beautiful . Thank you! It is a beautiful colour. Swirled with the spiced candy makes the mild cinnamon fragrance delightful too. Fantastic tutorial! Love that Santa mold! Very inspirational. I think I may have to add this die to my wish list. Thank you. And right?! I am so glad it turned out. Your creativity knows no bounds! Holy Moly, what you did with a dollar tree backsplash and candy mold is amazing! LOL when you put it that way it does sound a bit more impressive. I love this project, especially the Santa Claus! Thank you. That Santa was my favourite too. Wow - this is just amazing!